(90cm x 150cm x 2.5cm thick). Our Gym Play Mats are proudly made right here in New Zealand. Our manufacturer uses only the best quality PVC for the covers and, with the Industrial Grade Bonded Polyester Thread holding them all together, these mats are made to last! 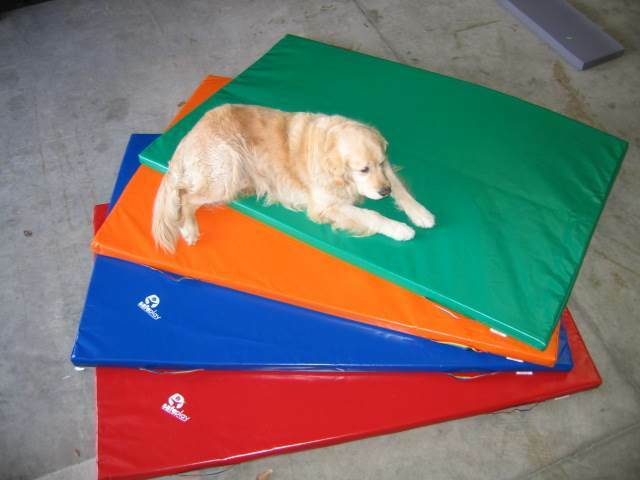 The light weight open cell foam ensures the mat is a soft and safe surface to play on. Handles sewn into the sides of the mat ensures moving the mat around is a simple job. They are ideal for use in all areas of play and fun! - are easily washed and provide a safe enironment for children to play on. There are 7 colours available - Royal Blue, Dark Green, Red, Orange, Yellow, Black, Grey. PLEASE NOTE - These mats are made to order therefore there is an expected delivery time of approximately 10-15 working days from date of order (delivery can sometimes take a little longer depending where in the Country you are). This item has a delivery charge - this will be confirmed for you upon receiving your order (as we do not know what the delivery charge will be until we know how many mats are being delivered). If you would like a quote for delivery prior to order simply contact us on 0800 628 778.